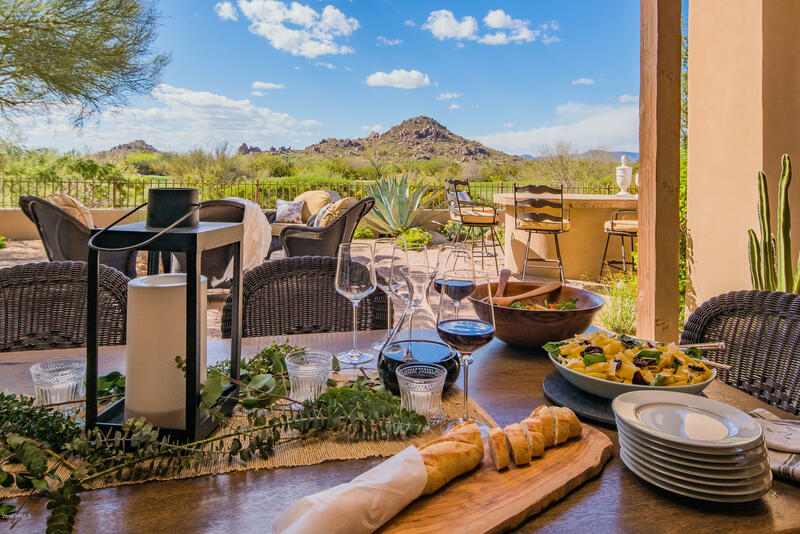 All WHISPER ROCK UNIT 7 homes currently listed for sale in Scottsdale as of 04/25/2019 are shown below. You can change the search criteria at any time by pressing the 'Change Search' button below. 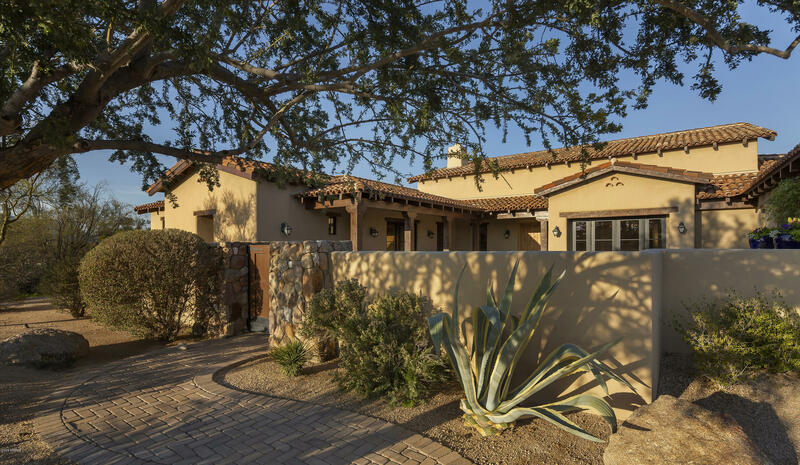 "Platinum Companies (builder) and PHX Architecture combine to create the latest offering of custom-quality homes within the gates of Whisper Rock Estates * Only 8 sites remain * 3 distinct Architectural styles: Modern Farmhouse, Desert Contemporary and Spanish Colonial * 2 Great Room style Floor Plans: The Tortuga Plan - 3600 sq ft with 3 bedrooms and 3.5 baths and The Sonoran Plan - 3870 sq ft with 4 bedrooms and 4.5 bathrooms * Custom level finishes and details (see documents tab for features"
"Modern ranch style home located within the Villas neighborhood of Whisper Rock Estates * Sited on one of the best lots in the community, this home offers unmatched views, timeless architecture and thoughtful design * Private entry courtyard with heated pool and custom landscaping provides a warm welcome * The open floor plan is ideal for entertaining: Chef's kitchen with wet bar and casual dining; adjacent family room with stone fireplace and disappearing wall of glass doors; formal dining with "
"Tucked by the 9th fairway of the upper course, Villa Verde enchants w/ its charm. 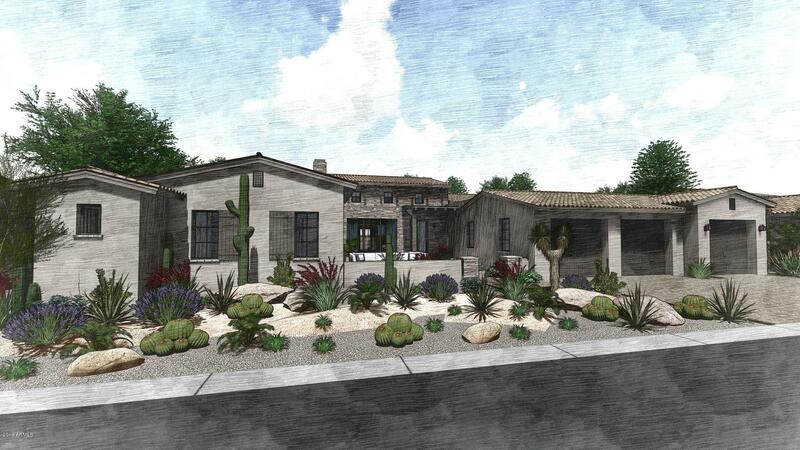 Stunning lot w/ mtn views & privacy for entertaining w/ indoor/outdoor style & ease. Open concept is perfect for fireside chats, serving guests at the built-in bar, or coming together in the richly appointed kitchen. Lounge w/ fireplace is ideal for welcoming the day. Working from home is a breeze in the ''just right'' size office. Mstr suite has fireplace & outdoor access. Guest wing w/ 2 lrg bdrms, walk-in closet"